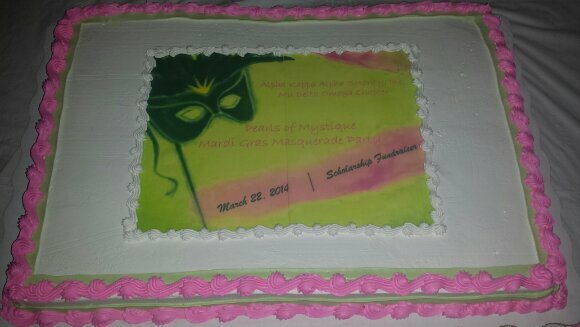 The ladies of Alpha Kappa Alpha Sorority, Inc hosted a scholarship fundraising event in Elizabethtown, KY last night. My Soror and co-worker is a devoted member of Mu Delta Omega Chapter. The New Orleans native has been trying to get my Mother and I to join their chapter for some time. Neither of us have been active with Alpha Kappa Alpha since our undergrad experiences. When I stepped foot on the campus of Indiana Tech at the age of 17, I was determined to join AKA. The problem was there was no chapter for me to join! In spring of 1995, myself and 11 other ladies chartered Rho Lambda Chapter. I became a legacy member due to my Mother’s membership. I served in every office and coordinated community service events all over Fort Wayne. 12 P.L.A.Y. (Prestigious Ladies Around You) will always be a part of history at IN Tech. We attended events from Ball State to Michigan State. Chartering a chapter was a lot of hard work with the Iota Chi Omega chapter and the National Office. I may become active with AKA later in life, or maybe not. Either way, I will continue to provide service to all mankind whether it’s through AKA, solo, or other organizations. 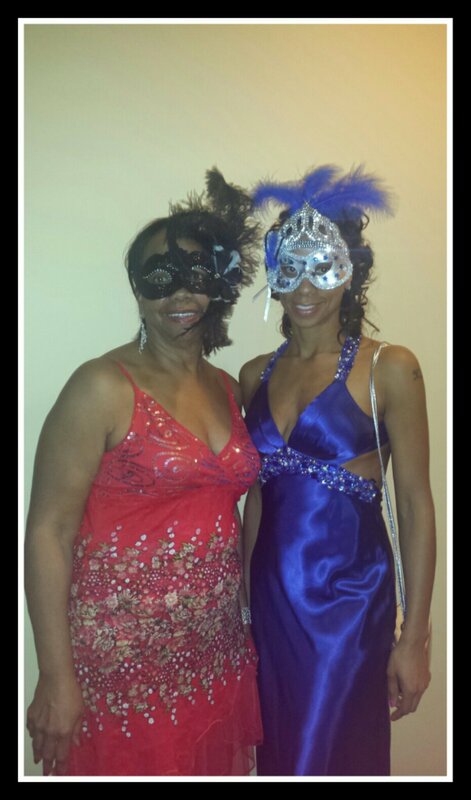 My Aunt Janice was kind enough to loan my Mom a couple masks she purchased from Pier 1. Both of them were absolutely gorgeous and fancy! 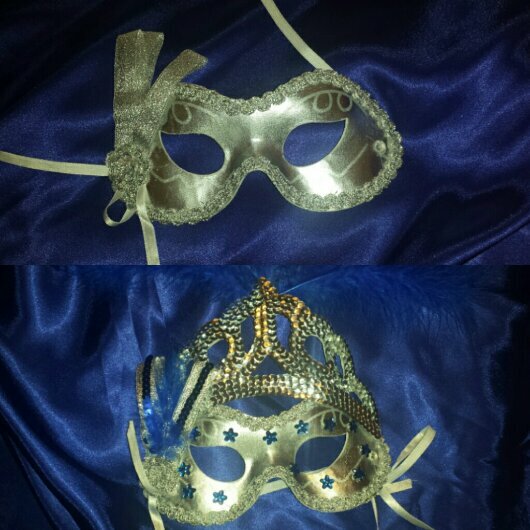 Mardi Gras seems to be the theme for my Mom and I this year. 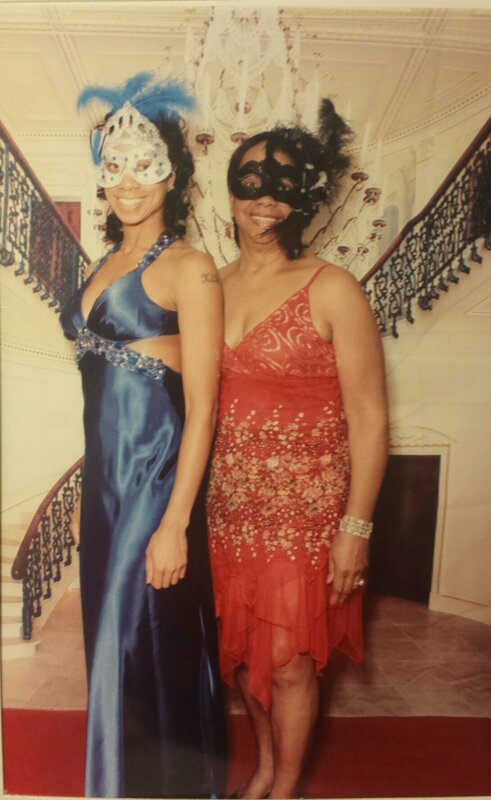 This entry was posted in Education, family, Louisville and tagged Alpha Kappa Alpha, Mardi Gras Party, Masks, Masquerade Ball. Bookmark the permalink. So cute! Love your dress! My mom is a Delta 🙂 I always wanted to be one but too much hazing and getting suspended on the campus at Hampton so I opted out. Greek life seems fun though! Thank you! I have quite a few friends who are Deltas. We’re all sisters at the end of the day. I’ve never been the stuck up sorority type and definitely don’t get down with the hazing! That made my day! Thank you again!!! !